If you’re looking to fix your marketing strategy, hire a new marketer, hire a marketing agency, or just doing some research into marketing you’ve probably done your research on some marketing platforms. You’ve heard about all the cool things they can do and been persuaded one direction or another. You’ve probably run across some tools like HubSpot, Marketo, or Pardot. As marketing platforms go, all of these do have some similar benefits, but I’m going to discuss the benefits of HubSpot in particular. HubSpot allows you to measure results just as pretty much any other marketing platform does. The only difference with HubSpot is that it’s faster, clearer, more organized, and easier. Still not impressed? It allows CEO’s to not only see what’s going on but to directly see ROI of all marketing efforts in one spot. That’s a pretty big monkey off of both your marketer’s and your back don’t you think? It’s all about automation when it comes to HubSpot. And I know you’re thinking oh… automation seems so impersonal. Well HubSpot integrates their amazing personalization tools with their automation tools which creates a well-oiled machine. They use automated tools like workflows for sales, marketing, and internal emails, social inbox for posting and monitoring on numerous platforms, and blog tools for posting. This leverages your time and resources so they’re less limited and more focused. If you’re anything like me, you probably like to be in control. HubSpot allows you to do that. But what exactly do you need to take control of? 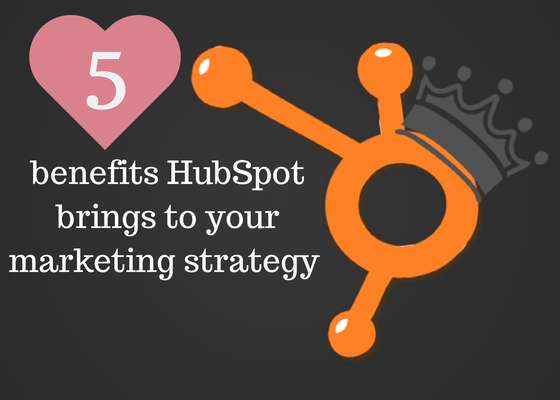 If you think HubSpot is just a marketing tool, think again. HubSpot allows you to integrate your sales and your marketing together to create a seamless process. HubSpot now integrates with Sales Force and just launched their own CRM software set up within the HubSpot platform. See how easy they make it?? Fascinating stuff. I figured you probably already knew this but since it is a marketing platform we had to address the direct benefits it brings to the marketing side of things. As far as traffic goes HubSpot increases blogging views, email interactions, and organic. How does it do this? Ultimate optimization of all things marketing. HubSpot makes sure, even reminds you, what you haven’t done on your website or what needs to be fixed in order to get optimum results. It’s like a babysitter for your marketing department (although they shouldn’t actually need one, it’s always comforting to know they have back up if needed). It also allows for better tracking on your campaigns so you can test, analyze, and improve on the marketing tactics that aren’t worth it. The best part of HubSpot is not any of these individual benefits it brings but the fact that it brings all of them together at once and in one place. 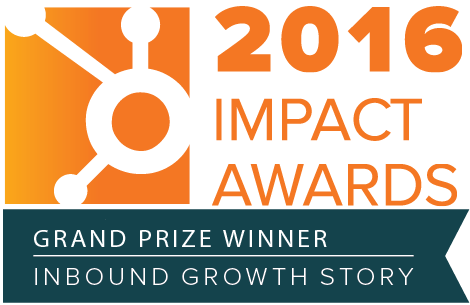 I could honestly go on for days about the benefits and get really detailed on your but instead, why don’t you check out this study we did on 7 clients that used HubSpot and 7 that didn’t? The results are pretty cool.